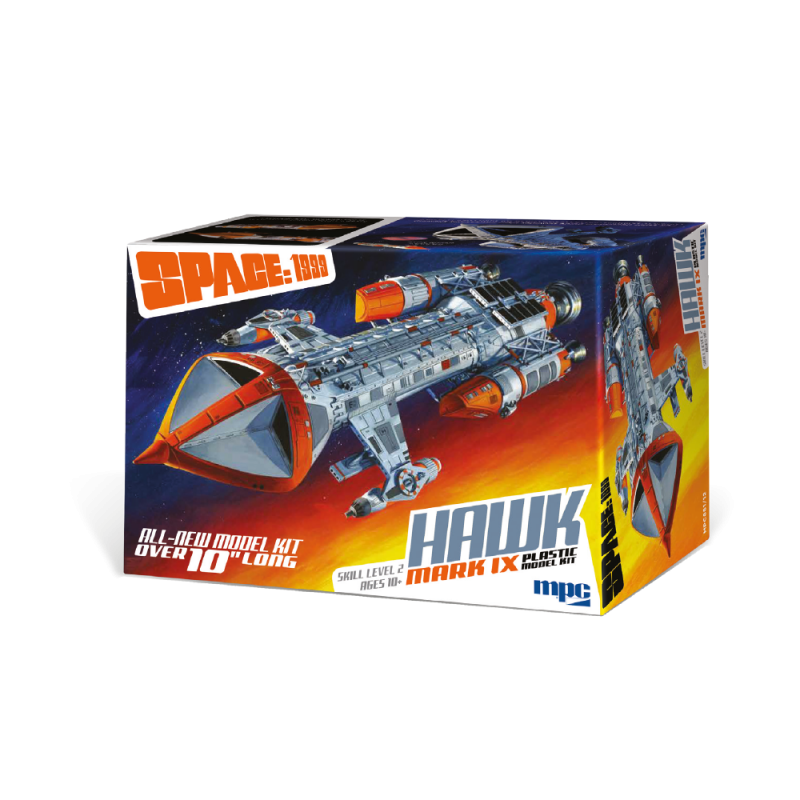 The true origin of the Space:1999 Hawk starship is a bit of a mystery, but it was fully intended to be a formidable weapon. In its first appearance in the episode, War Games, a squadron of ships decimated Moonbase Alpha’s fleet of Eagle Transporters. 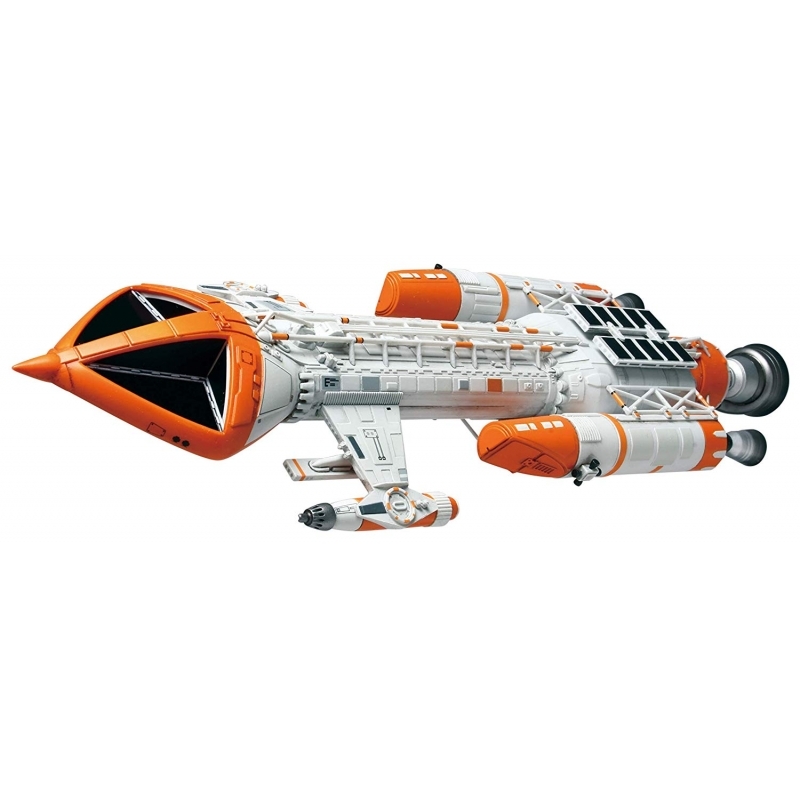 The ship design is reminiscent of the Eagle. The ships shared the same production designer, Brian Johnson. The Hawk, however, was a sleeker design that was unencumbered by the need to serve in utilitarian roles. 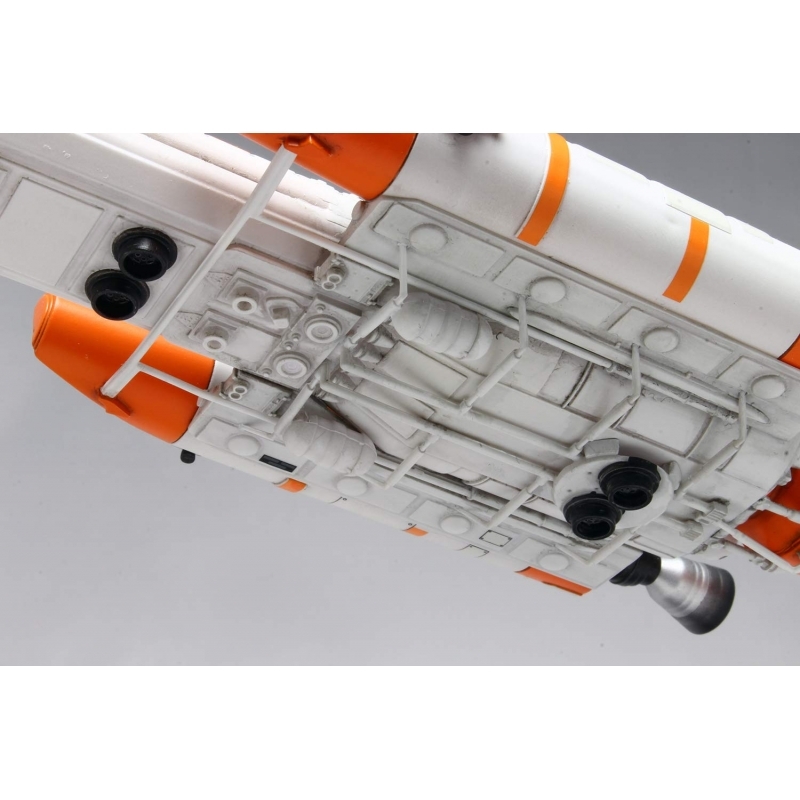 This ALL NEW kit of the starship features authentic detail and is based on the original filming miniature used in the production of the television program. 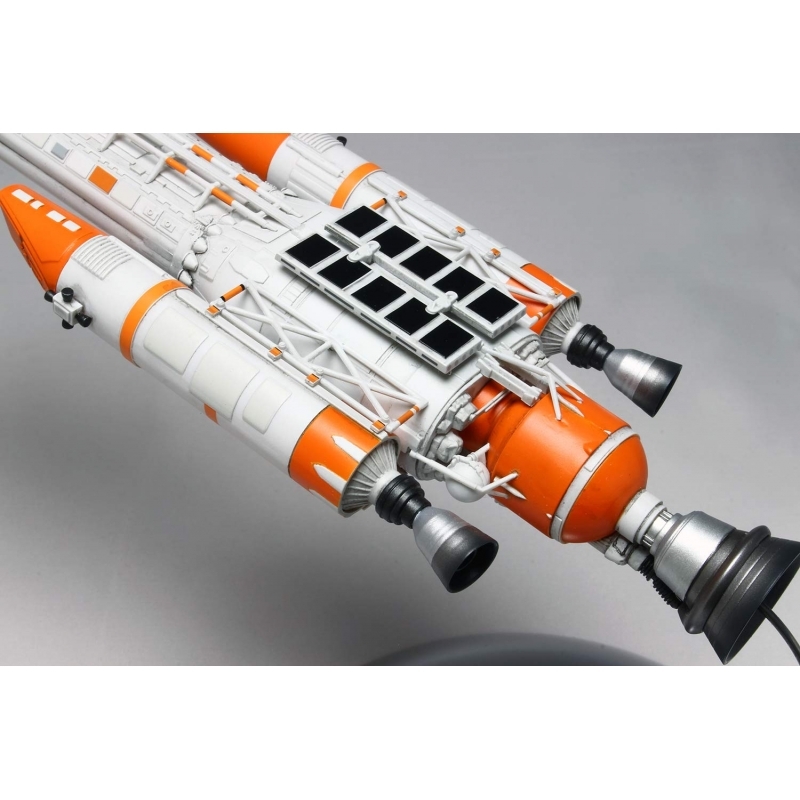 This is a kit sci-fi modelling fans have been waiting for!